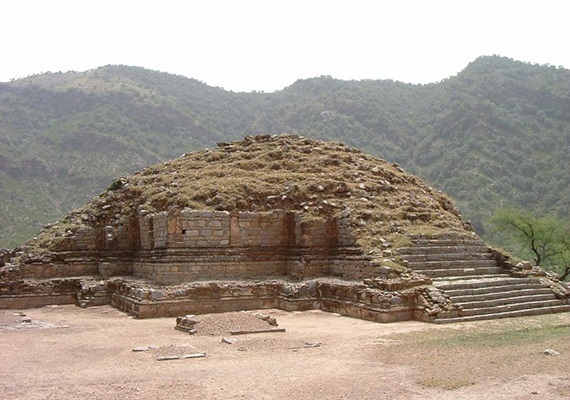 Bhamala Stupa is a ruined Buddhist stupa and National Heritage Site near Haripur, Pakistan. The Stupa is different from other stupas found in Gandhara. The ruins date back to the 4th century CE. The ruins are situated very near to the Khanpur Dam. The stupa is cross shaped and looks like an Aztec Pyramid. Bhamala stupa is an archaeological site and is also known as Bhamala Buddhist Complex.